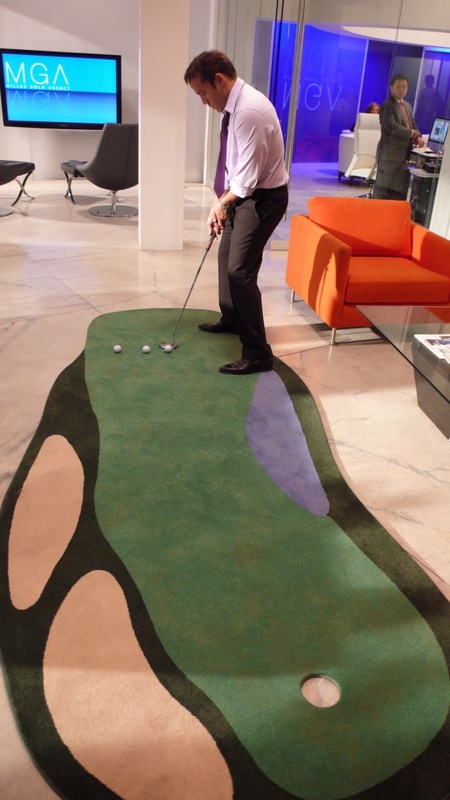 Our indoor putting greens are by far the most elegant and realistic indoor putting greens available. Add you name or company logo to any of our putting green models. Perfect for home, office tradeshow and events. Even Ari Gold enjoyed putting on The Original Steve LaPorte Indoor Putting Green!